NFL Rumors: Could Panthers' DeAngelo Williams or Rams' Steven Jackson Get Traded to the Falcons? The reports have been pouring in that Steven Jackson and DeAngelo Williams are on the trading block before the trade deadline on Tuesday. Peter King named Steven Jackson among the players most likely to be traded while the Charlotte Observer suggested DeAngelo Williams will be gone by the new year, one way or another. In St. Louis the Rams have some running back depth and the new General Manager has no allegiance to Jackson while the Panthers have moved away from Williams as a feature back. Wow. Quality running backs are available? Atlanta needs quality running backs? Does this sound like a match made in heaven or just a weak logical connection? There may be more below. DeAngelo Williams. Williams was a first round pick of the Panthers way back in 2006. Williams is a smaller back, only 5&apos;9" but a respectable 215lbs. Williams has/had 4.4 speed at his Pro Day but has enough size to run pretty well through the tackles and is also adept at catching the ball. He is a good running back with about 1050 NFL carries and does not have to come off the field depending on the down. 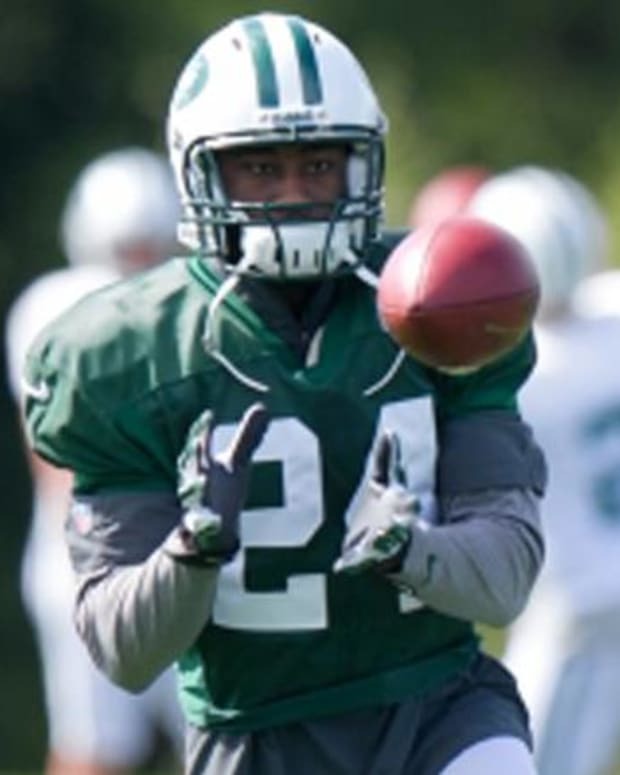 Michael Turner has about 500 more carries, mediocre hands and below average pass blocking skills. The caveat here is that Williams is having a bad year. He is only seeing a limited number of snaps in Carolina&apos;s "Dumpster Fire Offense." Williams is seeing just seven carries a game and averaging 3.5 YPC in that span. However, half of those games are against teams in the top six in rush defense (in yards per game). Last season he put up 5.4 YPC. Williams is 29 (and a half), has relatively low miles (for his model year) but has a sizable contract. The Panthers also have no GM so any decision is likely to be made by Jerry Richardson (who is insane). Perhaps the biggest issue here would be the Panthers would be more likely to set DeAngelo Williams on fire and push him out to sea than send him to the #1 team in his division. For that matter we have smashed the Panthers in every game in recent memory and they probably do not want to help our cause. It would be like trading Roddy White to the New Orleans Saints way back when the Saints were a good team. Steven Jackson. I ended DeAngelo on a low note so I feel like I should counteract that early. Les Snead is the current General Manager for the St. Louis Rams. Snead is pretty close with Atlanta. If you recognize his name, it is because he spent 13 years with the Falcons organization. He was interviewed for GM positions the past few seasons but was finally hired by the the Rams back in February. Our former Director of Personnel likely still has a great working relationship with our current front office, and could even be interested in some of our current players he really liked, so a rare player for player trade could be likely. Like Williams, Jackson was also a first round selection who is nearing 30 years old. While Williams is a smaller/speedier back, Jackson is a giant at 6&apos;2" and 240lbs. He has OK speed but is more of a powerful, bruising back. Jackson has suffered from terrible matchups as well, with three of the top seven run defenses coming in his first eight games. The Rams have struggled offensively this season and lacks quality offensive line talent. Through the season he has matched Michael Turner&apos;s 3.8 YPC. As recently as last year Jackson had an impressive 4.4 YPC. He, like Williams, is a back that does not have to come off of the field on 3rd down. The problem is Jackson has over 2200 carries in the NFL and may have little life left in his legs. If Atlanta traded for Jackson he may stay in Atlanta for the season and not much longer. 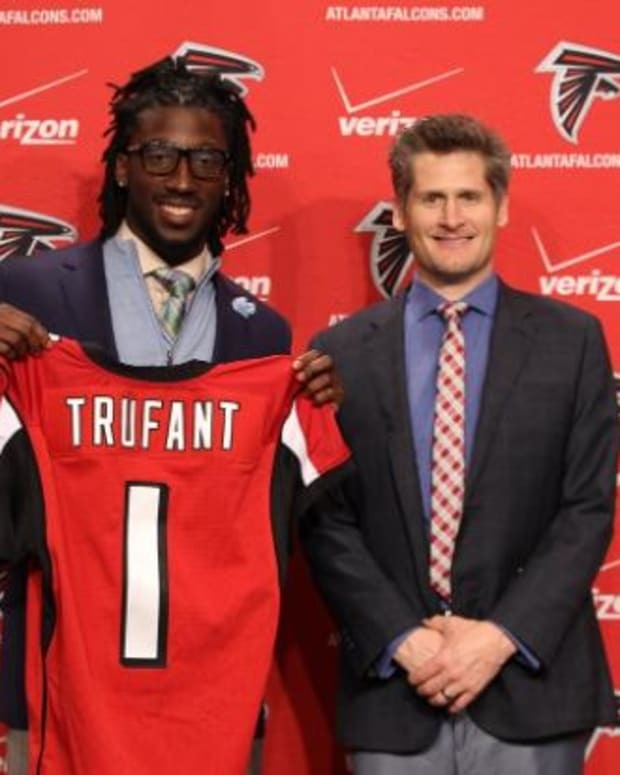 How does Dimitroff feel about the Falcons this year? The answer to that question may help answer whether or not it would be worth it to trade for an older running back with a large salary. Either back would likely be a short term answer to help our offense down the stretch and into the playoffs, not a offensive building block. If Atlanta is Super Bowl bound, spending a midround pick on a running back to help shore up our mediocre run game would be a worthy investment. Update: It looks like hurricane Sandy may push back the trade deadline, which was Tuesday. Titans TE Jared Cook has also requested a trade. Get more great Atlanta Falcons news and analysis over at The Grits Blitz. NFL Rumors: Could Titans' Jared Cook Get Traded to the Falcons? 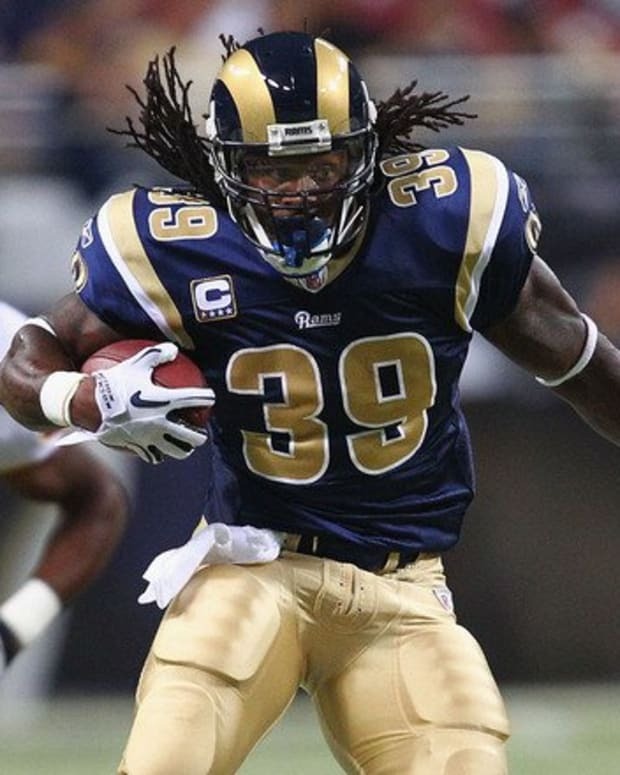 Steven Jackson to Falcons or Packers? NFL Rumors: Could Kentucky Steal Dirk Koetter from the Falcons? NHL Rumors: Panthers Considering Trading Stephen Weiss to Canucks or Flames?